Oak trees are found in cities around the world, and acorns have been used by crafters in all sorts of ways for centuries. 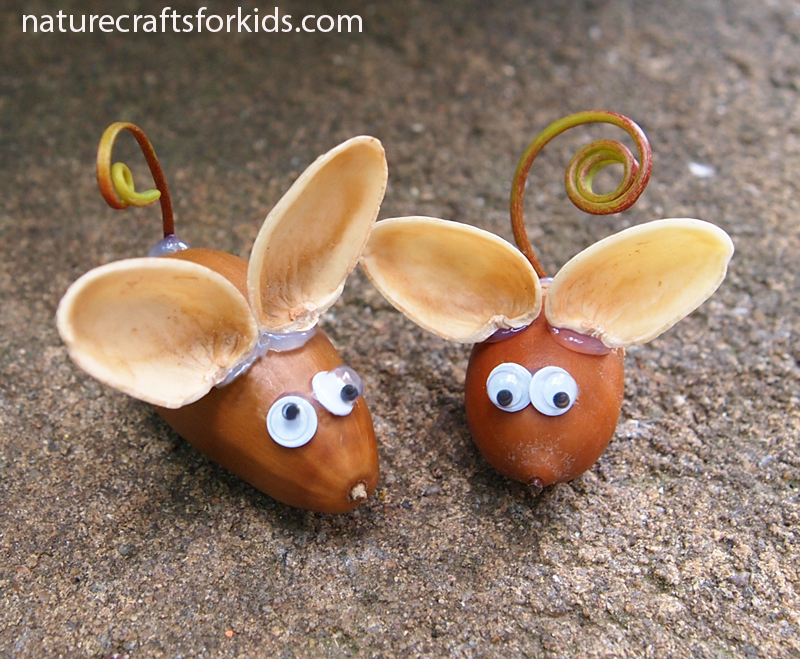 Young kids love collecting acorns, and nature crafts are a great use for them! Make a nature craft mouse like this or some other little creature. I’ve used a low melt glue gun to glue on pistachio kernels for the ears and plastic eyes. Alternatively, you could use acorn caps as the ears, or even small leaves. Vine tendrils form a perfect tail. Head outside, collect some acorns and make a whole colony!